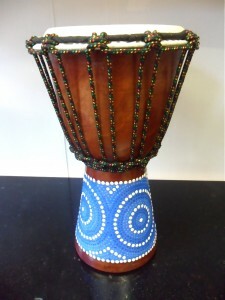 We sell a colourful range of Fair trade world music instruments:-Likembe,Drums(Djembe,ocean drums,tounge drums,monkey drums,thunder drums) Cabasas, Cuicas, Digeridoos, Ocarinas, Flutes, Whistles, Wind chimes, Prayer bells, Singing bowls, Xylophones, a selection of animal guiros and more. They are all beautiful to look at and make a great sound. If you want to buy several instruments,we will of course try to package them in the same box and reduce your postage to the one parcel cost. 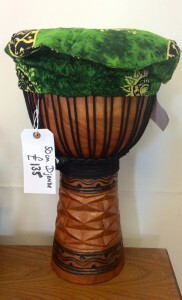 The Pro series Djembe has the highest specification with extra rope,double rings and the finest natural string.Beuatifully decorated with carving and paintwork.50cm diameter drum head. It comes with a free hat, to protect the skin! 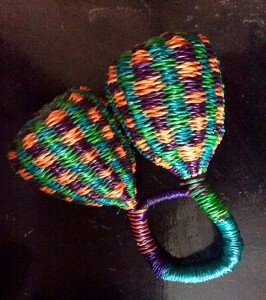 These lace round your ankles,to jingle as you move. 21cm anklet,24 cm laces. Tip the stick up,and hear the tinkling sound of rain falling. 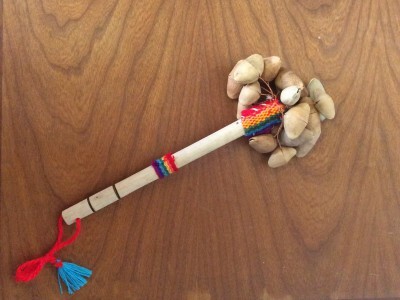 Percussive shaker on a stick made from Cha cha nuts from the Peruvian Amazon.20cm long,colours vary. 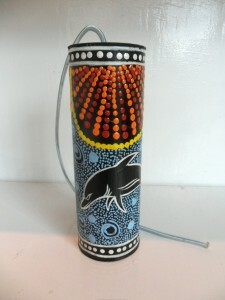 Vibrantly, hand painted wooden Didgeridoo,so each Didgeridoo is different. 128cm long. 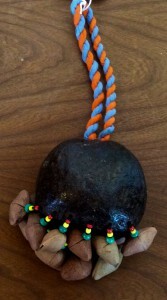 These colourful double Caxixi are made in Ghana ,and make a great percussive shaker!15cm by 15cm.Colours vary. 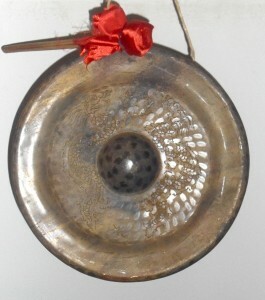 Beautiful Gong produces different ringing tones ,depending on where you hit it with the beater.Designs vary-our current stock of Gongs are plain with beaten marks into the metal. 24 cm diameter 29cm long beater. 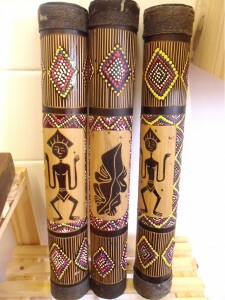 Wooden flute,made and decorated in Kenya. 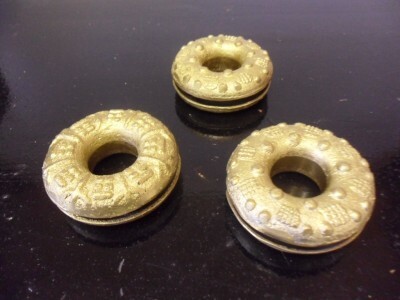 Golden embossed bells to ring on your fingers,made in Tibet. 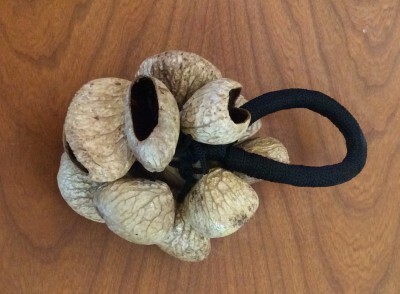 Fair trade percussive shaker,made from nuts , from Bali. Makes a great dry shufffling tone! 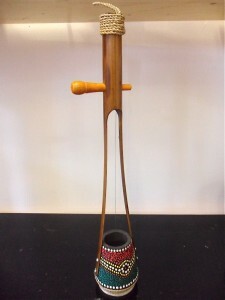 Percussive shaker ,made from seeds, in Indonesia. This is a fair trade instrument and helps protect rainforest trees from the loggers,as it gives the trees an alternative monetary value.They are harvested to make funky instruments, instead of timber! 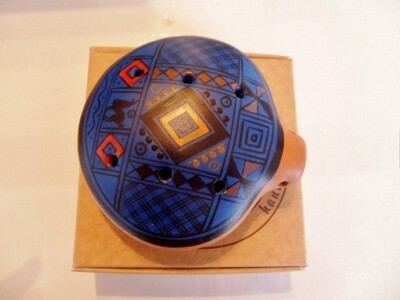 Beautiful Boxed Ocarina-Made in Peru,this fabulous painted ceramic Ocarina,produces lovely, warm, flutey notes. This comes boxed and we will package it with bubble wrap and another box,so should be very well cusioned and safe . 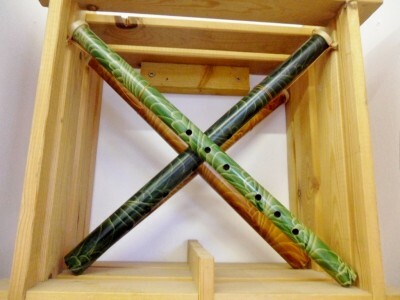 These 13 note Panpipes are made in Peru. 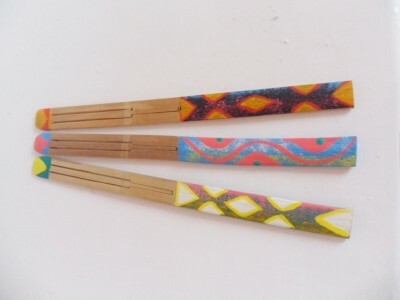 Made from beautiful dark wood,these spoons can create a great range of sounds,by changing the cupping 0f your hand as you play them. 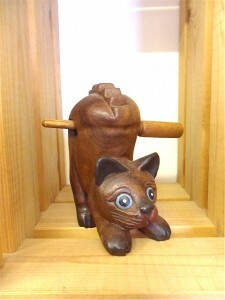 Scratch the cats back with the stick and hear it a purr...... a must for cat lovers everywhere.! 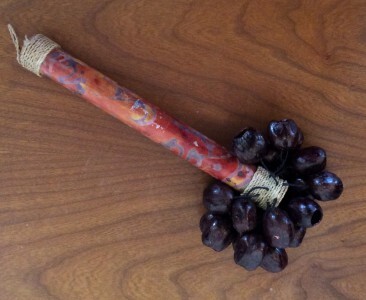 Fair Trade percussive shaker, made from the seeds of the Rubber tree. 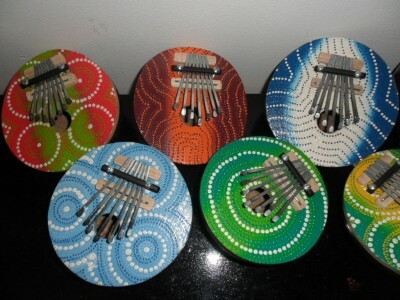 Thumb Pianos,made out of coconuts-each with a intricate decoration,in a wide range of colours. They fit neatly into the palms of your hands as you play,and the polished coconut feels lovely to hold! Bright,warm tone. Shake the spring and the Drum makes a low Thundering sound. Comes in a variety of colourful animal designs. 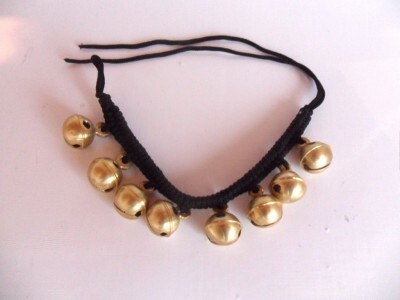 These brightly coloured bells,can be strapped round your wrist,so they jingle as you move.